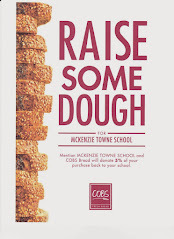 McKenzie Towne School Parent Association: We're Famous! Well, that may be a bit of an overstatement, but we have had some media exposure. After approaching the SE Calgary News organization to run an article about our association, I was invited to conduct a video interview for their on-line news site. This was a great opportunity to speak about who we are as an association as well as about our needs for fundraising and volunteers. The interview and article were posted on the SE Calgary News website this afternoon and can be viewed here. Well done Tiffany - a great opportunity for exposure! Fantastic Tiffany - the ball has definitely started rolling!